THANK YOU FOR PARTICIPATING IN OUR YEAR-LONG FACT-FINDING PROCESS. READ OUR FEASIBILITY STUDY AND ARTS MARKET SURVEY REPORTS! Space to Create Paonia just completed an arts market survey to determine the community’s needs for affordable creative live-work space. Thank you to the 508 people who took our survey. The findings show that Paonia’s Space to Create project may support up to 17 residential units and 10 private studios, along with other commercial space that may include a gallery, retail space, performing arts space and shared makers space. Read the Arts Market Survey! Read our Arts Market Survey Results! HERE. In 2017, Paonia was selected, through a competitive process, as the location for the third creative facility to be developed under the Space to Create program, the first state-driven initiative in the U.S. for affordable space for creatives. The first demonstration project was launched July 2015 in Trinidad, followed by the town of Ridgway in the Southwest region in 2016. Through the study process, Trinidad and Ridgway learned that projects are feasible and they are currently in the predevelopment phase. Regional selections are prioritized based on local needs including economic diversification, community readiness, public will, commitment of local resources and housing and space demands. Space to Create Colorado is a collaborative effort of multiple organizations to provide affordable workforce housing and working spaces for creative sector entrepreneurs and artists in rural, small town and mountain communities in Colorado. On July 28, 2015, Governor John Hickenlooper announced the first state-driven initiative in the U.S. for affordable housing for artists. Space to Create Colorado will advance mixed-use projects that blend affordable live/work space for artists and their families with non-residential space for creative enterprises and organizations that serve a critical community need. Nine new Space to Create projects will be initiated in eight regions of the state. The first Demonstration Project is in Trinidad. Ridgway was selected as the next community in the Southwestern Colorado region. And, Paonia was selected as the third Space to Create community. Future sites will be determined through a competitive process. Led by Colorado Creative Industries (CCI) in the Governor’s Office of Economic Development and International Trade in partnership with Artspace, the Boettcher Foundation, Colorado Department of Local Affairs (DOLA), and History Colorado, this collaborative effort will assist Colorado communities in accessing state, federal, and local government resources, and include private sector and philanthropic support. This initiative will stimulate community and economic development in rural, small town and mountain communities by providing long-term affordable and financially sustainable workforce housing and working spaces for creative sector employment. Nine projects initiated across Colorado will culminate in roughly $45 million of investment statewide by multiple partners and agencies in direct capital investment. After discussion with and approval by the Town Council, the Town and the North Fork Valley Creative Coalition submitted an initial application to CCI in January 2017. Paonia was then selected to complete and submit the full Space to Create application in April 2017. On September 21, 2017, Space to Create Colorado announced that Paonia had been selected as the Space to Create community for Northwest Colorado. 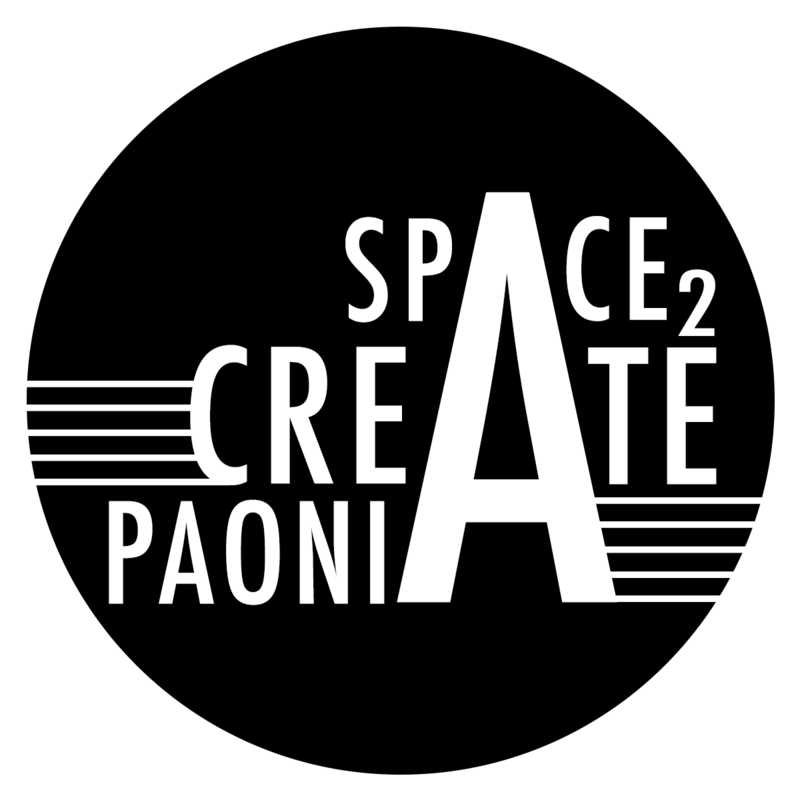 Partners in Space to Create Paonia are: Town of Paonia, North Fork Valley Creative Coalition, Paonia Creative District, Region 10, Delta County Housing Authority, Delta County Economic Development, and Department of Local Affairs. WHAT WERE THE CRITERIA FOR SELECTING A COMMUNITY? Criteria for selection include such things as concentration of creative sector workforce, availability of historic buildings for adaptive re-use, available developable property, commitment of local resources by a local governing body, and a demonstrated ability to execute community-based initiatives such as the Main Street and Creative District programs. WHAT CAN WE EXPECT THE FIRST STEPS TO BE? Artspace staff will meet with members of the community and the region in focus groups, representing Creatives, creative enterprises, arts and culture organizations, civic and nonprofit leaders, and the finance sector. A preliminary feasibility study report was published in March 2018 (Feasibility Study). From September 27th to November 7th, 2018, an online Arts Market Survey was available for the community to take. All creatives and community supporters in our region were invited to respond to this survey. The information gathered from the survey will directly impact the next phases of the project. The findings show that Paonia’s Space to Create project may support up to 17 residential units and 10 private studios, along with other commercial space that may include a gallery, retail space, performing arts space and shared makers space. WHAT WAS THE FEASIBILITY STUDY ALL ABOUT? The study kick-starts the process of creating affordable spaces for artists. As part of this fact-finding process, the Artspace team met with artists, city officials, funders, and local business owners January 16-18, 2018. They looked at potential properties and held a public meeting to welcome community participation, answer questions, and generate buzz. The Artspace team provided a written report summarizing their findings and recommending next steps – READ IT HERE. WHAT WAS THE ARTS MARKET SURVEY? As a crucial step in the pre-development process, it is instrumental to determine the size and nature of a market. Artspace Consulting worked with the Paonia team to customize the online survey to reflect the unique characteristics of the project, local arts scene, and broader community. This process included developing the questionnaire, publicizing it, collecting data and analyzing the results. • Quantify the overall demand for arts and creative spaces. • Identify the types of spaces, amenities and features that artists want/need. • Inform site selection, design, and programmatic decisions. • Maintain community involvement throughout the project. • Help build support and secure additional funding. We held a Survey Launch Party on September 27th in Poulos Park, Downtown Paonia. During Mountain Harvest Festival weekend, the Paonia team set up a booth in Town Park where people were encouraged to take the online survey. Following the “launch” weekend, we promoted the survey on our social media channels, through newsletters, and at local events. The findings show that Paonia’s Space to Create project may support up to 17 residential units and 10 private studios, along with other commercial space that may include a gallery, retail space, performing arts space and shared makers space. Read the Arts Market Survey! WHAT IS THE TIMELINE FOR THE PAONIA PROJECT? Grand Opening and Occupancy – 2023 ? WHAT IS THE TOWN’S ROLE? WHAT IS THE CREATIVE DISTRICT’S ROLE? Because this is a State initiative through the Colorado Office of Economic Development and International Trade (COEDIT) and the Department of Local Affairs (DOLA), the Town of Paonia is the primary applicant. The Town views Space to Create as an economic development opportunity that will bring increased tax revenues by new and expanded businesses and residences. The Town of Paonia is providing meeting space and office resources. The Town Administrator and two Trustees are members of the Space to Create Executive Team and are involved in all communications and decisions. The Creative District is a nonprofit partner in Space to Create. The District is managed by the North Fork Valley Creative Coalition (NFVCC). The NFVCC’s mission is to foster economic growth in Western Colorado through the creative industries. Members of the NFVCC have also been appointed to the Space to Create Executive Team. As a nonprofit, NFVCC can fundraise through grants and private donations. By being selected by Colorado Creative Industries, Paonia received commitments from the Boettcher Foundation ($250,000) and DOLA ($35,000) matching grant to start the process. In July 2018, Colorado Creative Industries awarded the Town $50,000 for pre-development. The Town of Paonia has committed some money and the NFVCC has received some funding from an anonymous donor and a grant from the Anschutz Family Foundation for staff support for the project. At this point, most local work has been on a volunteer basis. Once we have a direction for how the development will go, Artspace and CCI will work with us to define sources of funding. These could come from federal or state economic development or housing programs or from private investors. There is a lot of interest around the country to support rural areas in creative placemaking projects. WHAT IS THE COST TO THE TOWN OF PAONIA? HOW MUCH MONEY ARE THEY REQUIRED TO COMMIT? So far there has been very little cost to the Town of Paonia. The Feasibility and Market studies are being funded by the Boettcher Foundation and DOLA. Once sites and facilities are identified, we will be looking for creative ways to finance the projects. It is fully recognized that the Town budget is tight and that roads, infrastructure and safety take priority. WHO WILL OWN THE FACILITY? WHO WILL MANAGE THE FACILITY? It is too early to tell what the ownership and management plan will look like. There are many variables to consider. For example, one variable is the source of funding and how we may have to abide by the funder’s guidelines. In Trinidad, housing Tax Credits are being used. The ownership and management is split between the City, Creative District and Artspace. CAN ANYONE APPLY TO RENT A SPACE OR CAN ONLY ARTISTS APPLY? Artspace live/work projects are unlike most affordable housing in that they use an “artist preference” policy to fill vacancies. For each project, Artspace appoints a committee that includes diverse artists who are not applying to live in that project. The committee interviews income-qualified applicants to determine their commitment to their chosen art form or creative pursuit. It does not pass judgment on the quality of an applicant’s work, nor is it permitted to define what is or is not art. WHAT SITES ARE WE CONSIDERING? There are many possibilities to consider. Paonia has an interesting mix of Public-owned properties and privately owned properties. Artspace consultants will help us determine the best options for proceeding. Read the Feasibility Study.